Groundwater is a crucial resource to people and industries all over the world. Keep all of your information in one place, keep it safe and keep it up to date. 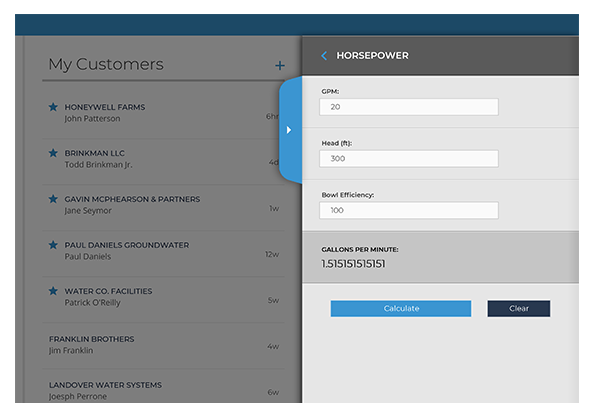 MyWaterWell makes updating your data simple, straightforward and consistent. Our reporting system is robust and user-friendly. Comprehensive workflows save you time and money. 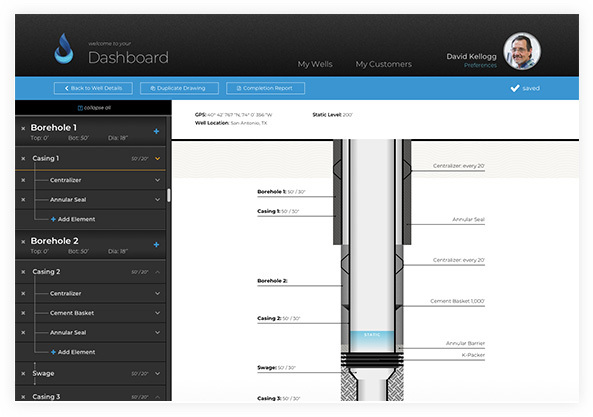 Using MyWaterWell creates an intuitive process to getting all your data in one place. ROBUST: a robust product can be one that doesn't break easily. Thus, an operating system in which individual applications can be said to be robust. With MyWaterWell you can access and upload data at your desk or in the field. The ability to input downhole well information in real time is crucial for minimizing error and increasing efficiency. Build Completion Reports and store digital copies of all your permits, driller and electric logs, down hole videos and job site photos from your phone or office computer. Instantly link this valuable information to the well and well owner. Keep track of vital information for all your wells and pumps with ease. You can depend on the MyWaterWell platform to keep all of your data secure. As a cloud-based application hosted on the ultra-secure Azure Cloud, there's no risk of compromising your information. 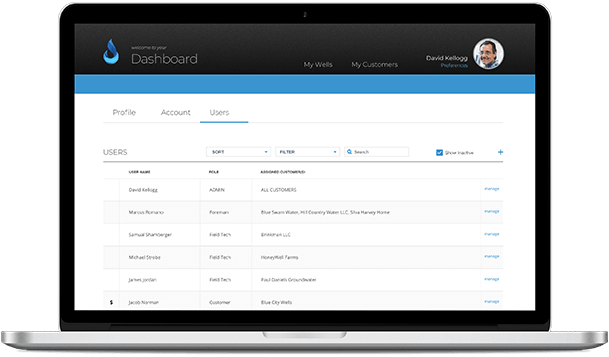 Not only is your well data private within your organization, you can easily manage who has access to what information at any given time to specific employees or entities. MyWaterWell is the world's first graphically based data management system for the groundwater industry. 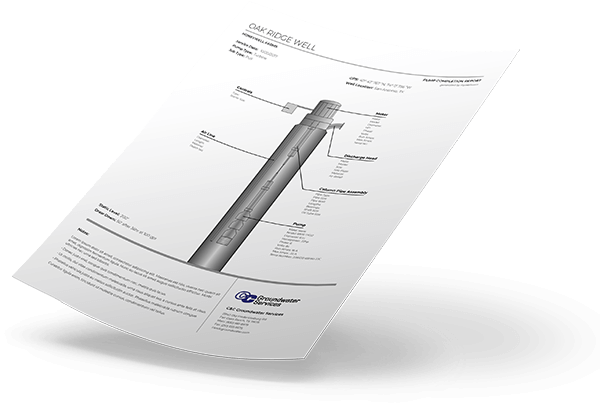 Our industry specific drawing program allows any MyWaterWell user the ability to create scalable, comprehensive illustrations of a well's construction for drafting, client approval or completion report purposes. Draw a well in MyWaterWell just as you would drill it. Need to modify your drawing? No problem. With MyWaterWell, you can edit your well data and drawing instantly for real-time data and communication with anyone involved in your project. Real Solutions. Created from Industry Experience. The concept and mission behind MyWaterWell has been developed over a decade by people who needed it most: the guys in the field keeping track of downhole data. We're here to solve problems. With all of the unpredictable challenges of groundwater management, let your recording and reporting be the least of your worries. Wellspeak is a language, it is regionalized and two drillers in the same town will call a tool, a downhole problem, even their method of maintaining information can differ greatly. 10 years ago we did not "Google It" unless we were talking to a baby. Slowly but surely, water well professionals will speak in "MyWaterWell." Like it or not, regulations are here to stay and they are not going to get any easier. As with any precious commodity, there is the need to monitor and regulate our usage. Having the tools to allow groundwater personnel to capture and comply with rules in the field makes their job easier. 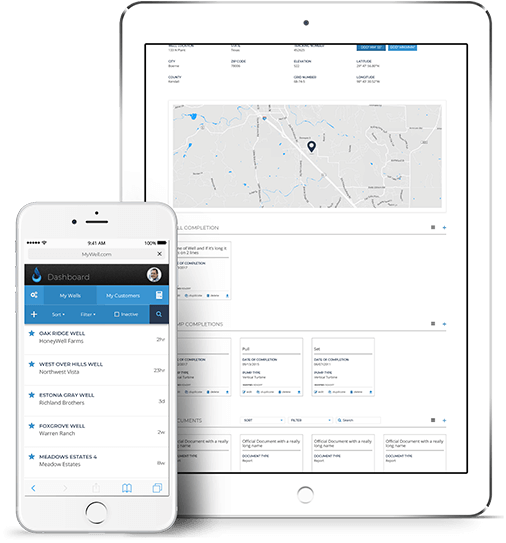 MyWaterWell works with the current regulatory authorities and conservation districts to allow for accurate, compliant reporting and stores permits and specifications on phones for instant retrieval. The office administrator will be at ease knowing that field personnel are complying and reporting.